Sugar is toxic, addictive and everywhere. 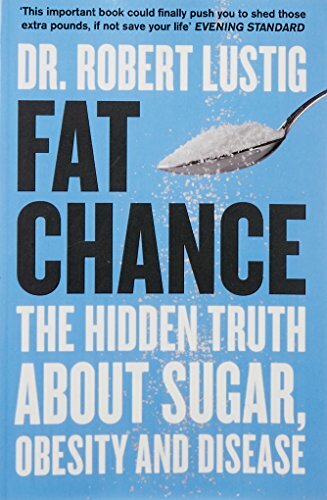 So what chance do you have of living sugar-free?With busy lives and little time left for cooking we find ourselves relying on a diet of processed food. 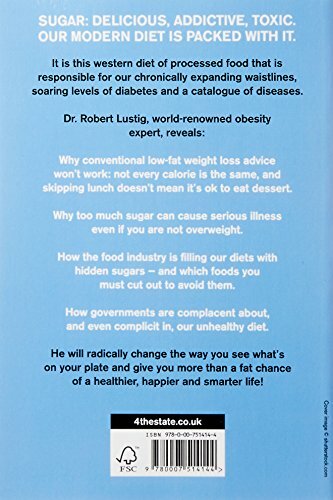 But this is what's responsible for our chronically expanding waistlines, soaring levels of diabetes and a catalogue of diseases.Dr Robert Lustig reveals the truth about our sugar-laden food:* Why conventional low-fat weight loss advice won't work: not every calorie is the same, and skipping lunch doesn't mean it's ok to eat dessert* Why too much sugar can cause serious illness even if you are not overweight* How the food industry is filling our diets with hidden sugars - and which foods you must cut out to avoid them*How governments are complacent about, and even complicit in, exacerbating our food debacleHe will radically change the way you see your food and give you more than a fat chance of a healthier, happier and smarter life!